The Indo Bench is the perfect addition to the dining sets or just on its own as additional seating. It features a unique natural finish on the FSC teak frame so it matches the dining sets perfectly. Whether being used instead of dining chairs or as extra seating space, it will not disappoint. Complete your home with the DWG-280-S counter height dining bench from CorLiving. Timelessly designed, this bench features a chocolate brown bonded leather seat with a tufted foam cushion, and a rich warm brown stained wood finish. Frame constructed of hardwood and wood veneer this solid bench can seat two people comfortably at a 36 inch counter or dining table. 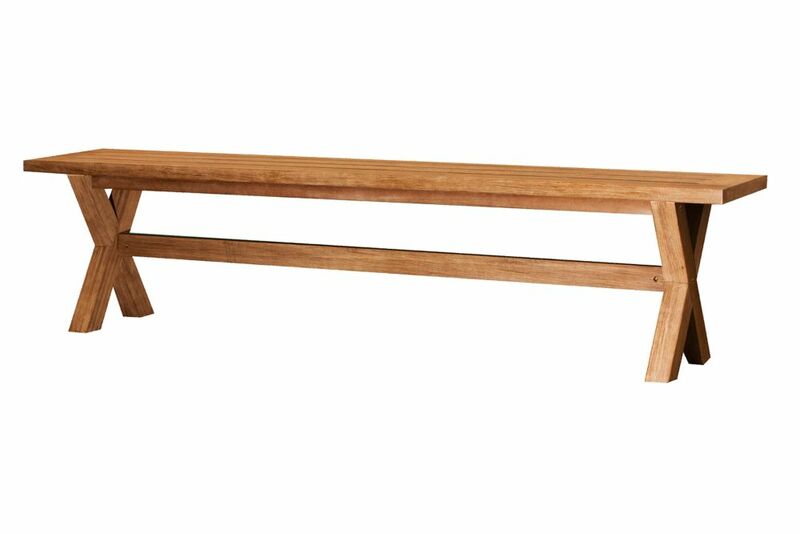 This versatile bench is a great multi-use addition to any home! The Patioflare Hanna wicker bench provides a charming place for two to sit. This loveseat features beautiful hand-woven flat brown wicker and a robust powder coated steel frame for durability. Perfect for your porch or patio, the bench is lightweight for ease of mobility. Inspired by Asias majestic outdoor gardens, the exotic style of this bench is at home in traditional or classic outdoor decor. Its ornately carved details with rich teak brown finish and plush beige cushion make it a modern heirloom. This is a great addition to your home whether in the country side or busy city. An eco-friendly conversation piece, this sweet twin seat outdoor bench is recalls hand-hewn Shaker furniture, but for outdoor use on porch or patio. Crafted of sustainable acacia wood in teak brown, it comes with its own umbrella-ready drink table. This is a great addition to your home whether in the country side or busy city. Indo Dining Bench The Indo Bench is the perfect addition to the dining sets or just on its own as additional seating. It features a unique natural finish on the FSC teak frame so it matches the dining sets perfectly. Whether being used instead of dining chairs or as extra seating space, it will not disappoint.